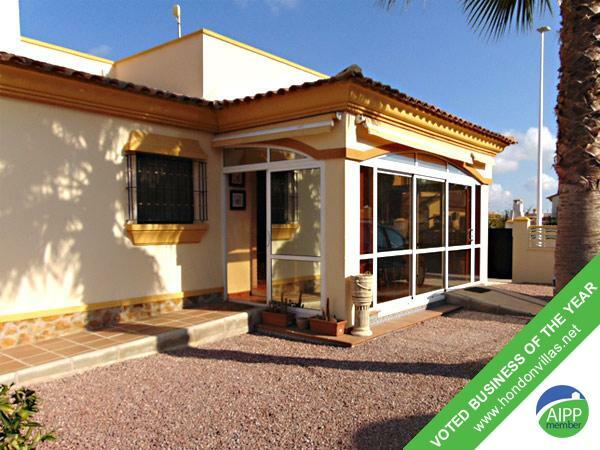 Hondon Villas are delighted to bring onto the market this immaculate three bedroom villa on the popular Montanosa Urbanization. The property consists of a lovely conservatory/breakfast room, a good sized living room, a fully fitted kitchen three double size bedrooms and two bathrooms, one of which has a jacuzzi bath. Externally there is a private swimming pool, gazebo, stone built BBQ and a decorative stone table and chairs. The villa has been fully adapted for wheelchair access. There is a roof top solarium which boasts lovely views of the countryside.